AirAsia India is offering tickets starting at an all-inclusive Rs 1,599 on the Bhubaneswar-Kolkata, Kochi-Bengaluru and Hyderabad-Bengaluru routes. The AirAsia ticket offer is applicable on travel till May 6, 2018. AirAsia India is offering tickets starting at Rs 1,599 in a limited-period promotional scheme. 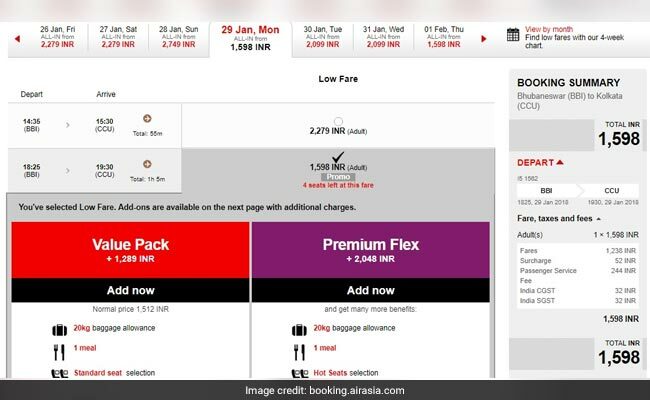 The AirAsia India offer requires flyers to make advance bookings, according to the airline's website - airasia.com. Tickets starting at an all-inclusive Rs 1,599 are being offered on AirAsia India flights between Bhubaneswar and Kolkata, between Kochi and Bengaluru, and those between Hyderabad and Bengaluru, according to the AirAsia website. Among other promotional fares, AirAsia India is also offering flight tickets starting at Rs 1,899 on routes including Ranchi-Bhubaneswar, Pune-Bengaluru, Goa-Bengaluru, Bengaluru-Bhubaneswar and Guwahati-Imphal, the airline noted. According to the airline's bookings portal, tickets for a flight from Bhubaneswar to Kolkata at the end of January were available for booking at Rs 1,598 on Monday. 1. Bookings under this AirAsia India offer are open till January 14, 2018, according to the airline. 2. The promotional sale is applicable on travel till May 6, 2018, it noted. 3. All fares are quoted for single, one-way journeys only. 4. 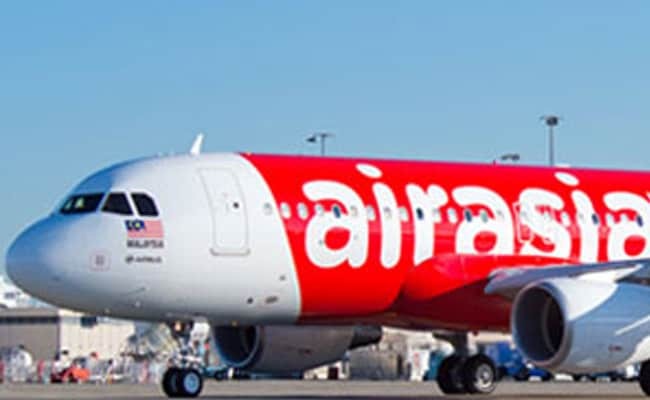 Without divulging the total number of seats offered under the sale, AirAsia India said: "Seats are limited and may not be available on all flights... Valid for new purchases only." 5. The offer, AirAsia India said, is only available for online bookings at www.airasia.com. 6. A non-refundable processing fee is applicable for payments via credit, debit or charge card. 7. "Fare includes airport taxes (except for selected airports where airport tax is collected at the point of departure)," it noted. 8. The fares are not available during embargo period, AirAsia India mentioned. 9. No refunds are permitted after payment has been made, the airline said. 10. AirAsia India said it would permit changes to flights and dates to change fees. Also, changes to name are not permitted. The promotional offer from AirAsia India comes at a time airlines operating in the domestic civil aviation market are witnessing stiff competition amid high passenger growth. Many airlines offer discounts around the New Year holiday season to attract passengers during a period marked with high demand. India's domestic civil aviation market is one of the fastest growing in the world, logging double-digit growth rates for more than two years. Another airline IndiGo is offering flight tickets starting at Rs 899 in a limited-period promotional sale - called New Year Sale. Bookings under IndiGo's New Year Sale, which is applicable on travel between February 1, 2018 and April 15, 2018, can be made till January 10, 2018, according to the IndiGo website. Domestic airlines carried 1,059.34 lakh passengers in the first 11 months of the year gone by (January-November 2017) as against 903.36 lakh in the corresponding period the previous year - registering a growth of 17.27, data from aviation regulator DGCA (Directorate General of Civil Aviation) showed.